Keith saw the light of day and grew up in Madagascar, far away from the Hawaiian Islands, but while that keeps him from slapping a “Born & Raised” on his bumper, he sure comes pretty close to the definition of Aloha lifestyle. Let us explain why by having Keith give us the low down on his daily routine. 7 AM Wakey Wakey. Time to step out of bed and prepare for a day in Hawaii. Since paradise comes at a price, I’ll usually get right to the computer and do emails, along with breakfast and some coffee, till about 8 AM. 8:30 AM At the office and the shaping room till about 11:30 (a game or two of fusball included). Maybe some bullshitting with different friends passing by… Levi… the team… random customers. Then I’m in for a small kind of lunch. 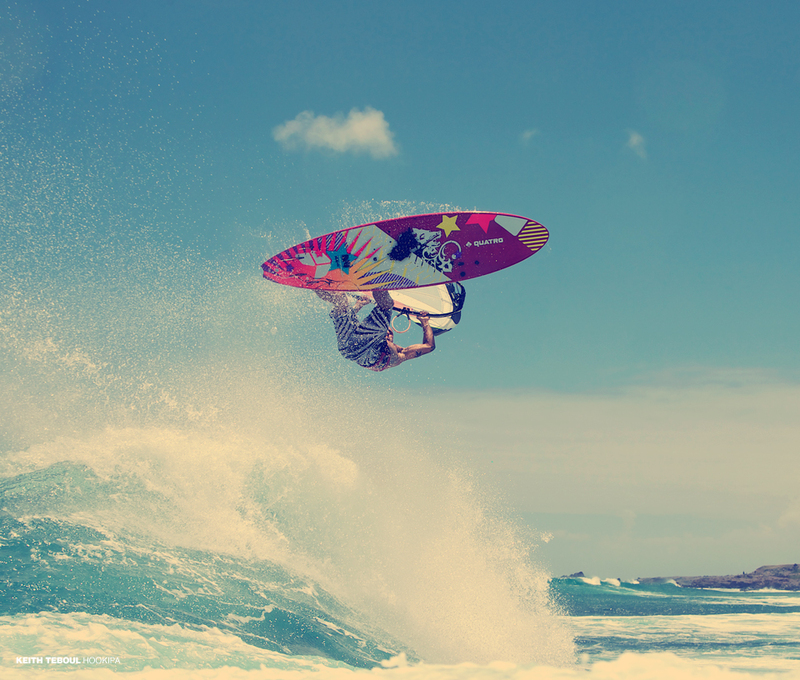 12 PM At the beach either sailing or surfing… obviously testing new schizel manizel shapes… and new 4 batten Goya sails. 5 PM Back in the shaping room if I didn’t finish everything in the morning. 6:30 PM At home. Shower. Dinner with friends or my girly!!! Later towards the night I might be designing some more on the computer. Final emails. 10:30 PM Lights out. Dreaming of travel. Clean barrels, clean waves and warm water. Do it all over again. What makes Keith so unique is the combination of talents and assets he carries under his belt. He has progressed from a threat on the water to a dominating force in the shaping room. Of course, what we’re getting at is that he is THE OUTSTANDING SHAPER of today, but let’s dig a little deeper and dissect just why that is. TESTING A vital factor in being not just good but excellent in what you create is your ability and frequency of using or performing your creation yourself and EVELOP A BLIND UNDERSTANDING for what effects your actions evoke. You can sit and simulate something all day long, but if you don’t find out whether it works in the real world or not, all the most eleborated therory isn’t going to do you or your customers any good. Keith is an incredible athlete, dedicated to massive waterspray on the thickest and steepest part of the wave. He calls it research and development, and we’ll just leave it at that. LOCATION Keith lives and works on the North Shore of Maui. There is no substitute for that when it comes to developing anything water-sport. Some of the BEST CONDITIONS ON THE PLANET can be found right here all year long. When it’s on, Keith is around. RESOURCES It’s wonderful to shape boards all on your own in the backyard shed, but it’s when you can really plug into the resources of a dedicated factory and EXCHANGE THOUGHTS AND OPINIONS with the likeminded, that you really step up to the next level. The Quatro Factory is literally housed in the same building as the Quatro headquarters. Everything is right at hand. COMPANY Having the backing of a brand and a company is another element that distinguishes Keith from so many others. He’s still just cooking with water, yes, but that water doesn’t sit in the same pond all the time, but get’s USED, FEEDBACKED AND REVIEWED around the world and creates a magnificent database of “who likes what” over time. 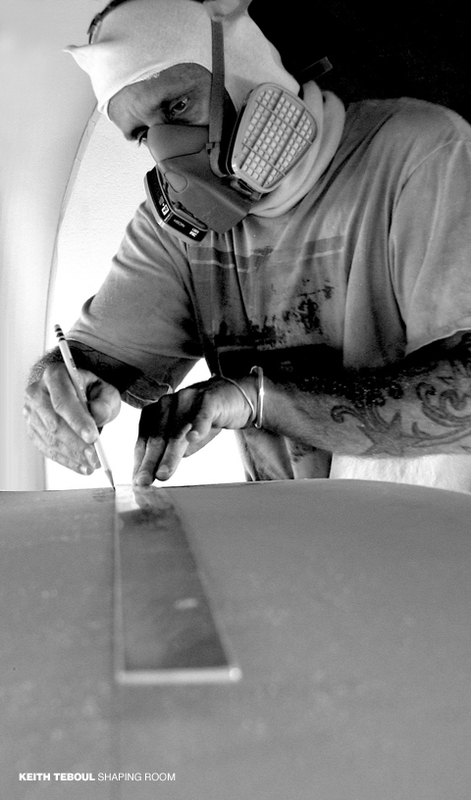 CUSTOM Unlike most shapers Keith is enveloped by both the Production and the Custom World. When only focussing on production boards, chances are high you will at some point stick with what works and stop to innovate, and when you’re only doing custom work it’s easy to overlook the common denominator that makes one thing work for many people, and GIVE MORE PEOPLE A SMILE ON THEIR FACE. CNC Access to computerized reproduction machines is just as priceless as it is MANDATORY IN TODAY’S WORLD. How else would you manage to custom make a Jaws board in time after the swell got forcasted. Yes, after. Many big names count on us to deliver. And we happily do, as long as they supply their sponsor’s decals and logos. YEARS As with everything, the longer you do it the better you get at it. 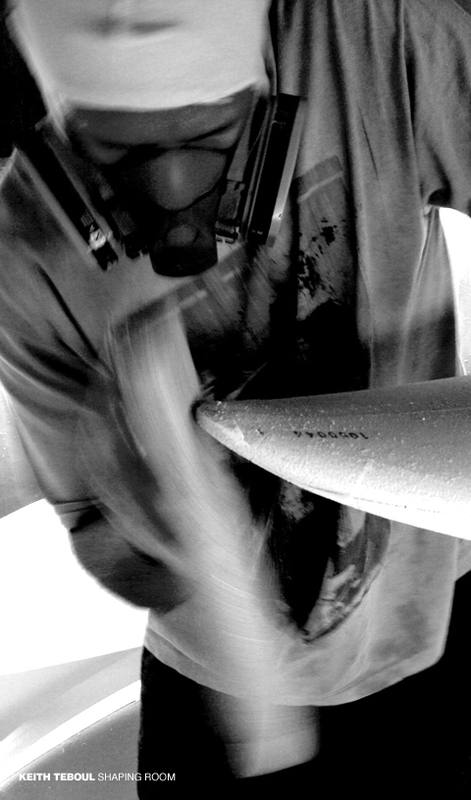 Keith has been shaping since the early Nineties and been with Quatro FROM THE VERY START. We’ll let you do the math.